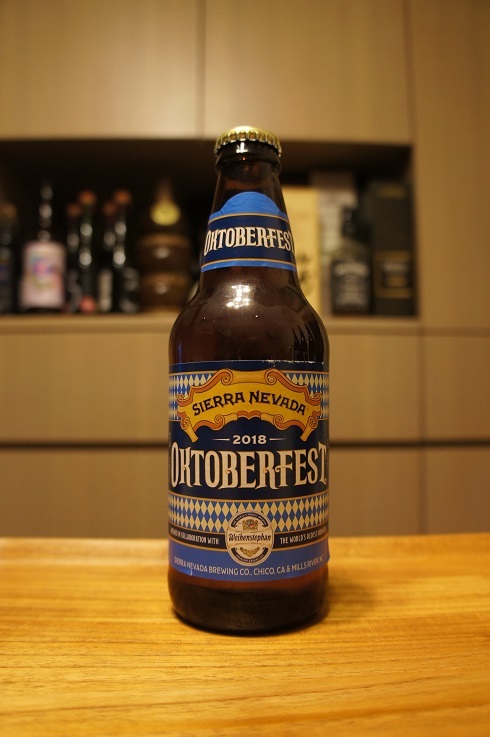 Brewer Description: (from bottle) We’ve partnered with Bavaria’s Weihenstephan, the world’s oldest brewery, for this American take on the classic German Oktoberfest. A malt backbone is balanced by subtle hop character in this crisp, clean, and drinkable crowd-pleaser – nothing captures the spirit of celebration like a beer among friends. Intro: A 12 fl. oz. 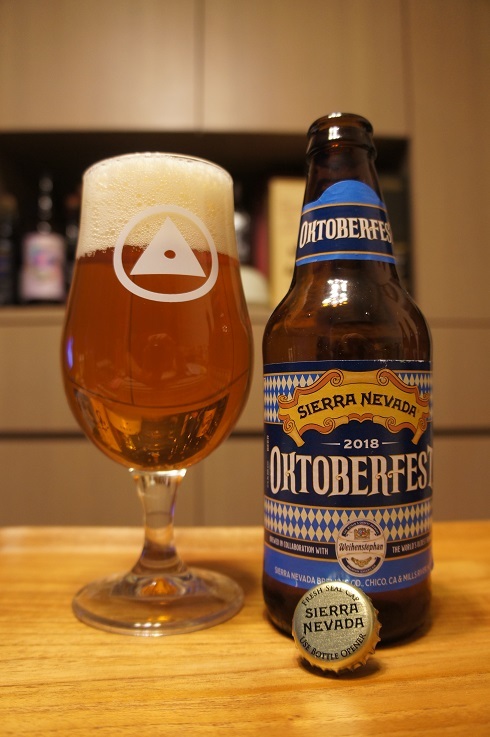 bottle, packaged on 27th July 2018, and poured into a Holy Mountain tulip glass. Appearance: A very nice clear copper colour with a two finger white head that had good retention, while leaving only some sparse lacing. Aroma: Sweet malt, pear, honey, bread, light floral. Taste: Sweet, toffee apple, bread, honey, brown sugar, with a light bitterness to the finish. Mouthfeel: Medium bodied with moderate to high carbonation. Overall: The light bitterness helps, but on the whole, it was probably too sweet for me.